Margaret Durward, born November 16, 1921, died Friday morning, November 23, 2018, at the Cottage in Detroit Lakes. She was attended by her son, John Durward and good friend, Cheryl Hovland. She was preceded in death by her mother Anna Coleman, her sister Rosemary Updike, her brother-in-law Charles Updike and her longtime partner, William Molloy. She leaves her three children; Lynn Durward and son-in-law, Robert Louiseau of Detroit Lakes, John Durward of Brule, Wisconsin and Bruce Durward and daughter-in-law, Nia Durward of Culver City, California. Margaret loved and cared deeply for her eight grandchildren; Brian and Grant Louiseau, Carrie, Caleb and Aria Durward, and Michael, Andrew and Matthew Durward. Margaret grew up in Jerseyville, Illinois. She and her sister Rosemary were raised by her single mom, Anna Coleman. 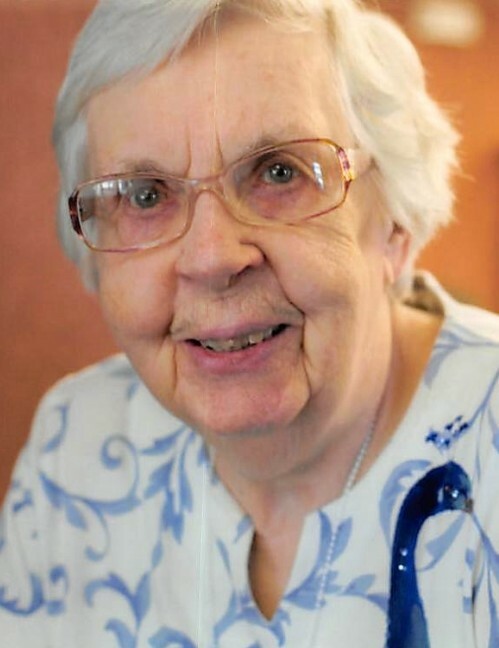 She attended nursing school in Alton, Illinois and worked as a nurse often in her long life. She married Lloyd Durward in 1945 and they moved to Morrison, Illinois. Margaret and Lloyd divorced in 1952 and Margaret moved back to Jerseyville, Illinois. Margaret lived in Jerseyville for most of her life and raised her three children there. In 2011 Margaret moved to Detroit Lakes, Minnesota and lived at Union Central where she had many good friends.